Committed to enhance public trust on judiciary: CJ Rana - Integration Through Media ....! 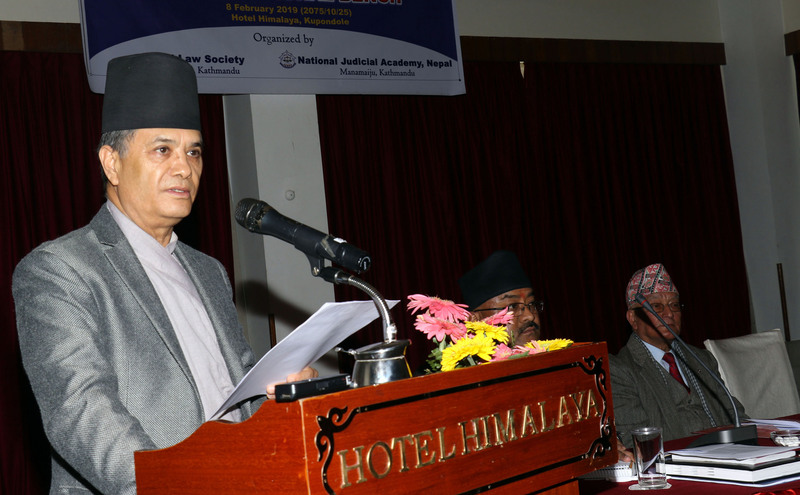 KATHMANDU: Chief Justice Cholendra Shumsher JB Rana has said he was committed to bolstering public trust on judiciary. Addressing a programme on ‘Effectiveness of constitutional bench’ organized jointly by the National Judicial Foundation and the Law Society here Friday, CJ Rana reiterated that he was making efforts to restore the image of judiciary which was felt to be deviated from the track earlier. Efforts are on to make the works at courts transparent and smooth and implement the constitution effectively, he added. The CJ Rana further said the disputes over the provisions incongruent to constitution would be solved with hearing. The people have expected from judiciary that it would help ensure good governance, and the efforts were underway for it, according to the CJ Rana. It has been three years the constitutional bench was established. Currently, there are some 200 cases under this bench at the Supreme Court.